Tadoku (多読) is a Japanese method of learning foreign languages by reading easy books. Ta (多) means “a lot” and doku (読) is “reading”, so Tadoku literally means “read-a-lot”. It’s sometimes called “extensive reading”. In Tadoku you read easy material, slightly below your current study level, and in doing so you learn new words, phrases and structures. I was quite nervous about starting a Tadoku “class”. What would I do in class while students are reading? Just sit there? My students could just read at home, couldn't they? Who’s going to enrol in a silent reading class? 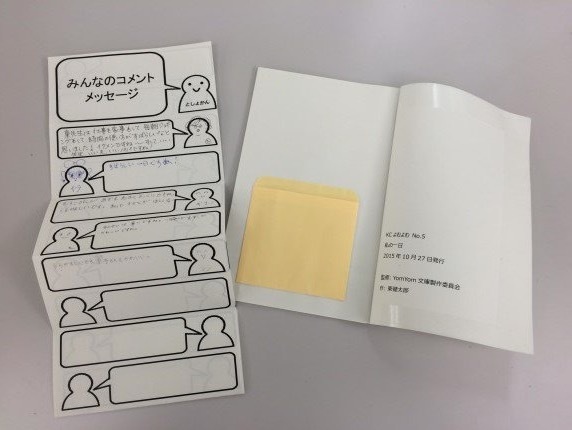 I did some research, and ordered a set of Tadoku graded readers from NPO Tadoku Supporters, a Tokyo-based organisation that promotes the practice of Tadoku around the world. I also got this book: 日本語教師のための多読授業入門 nihongo kyoushi no tame no tadoku jugyou nyuumon (“An Introduction to Tadoku Instruction for Teachers of Japanese”)*, which had useful case studies and practical advice. Several members of NPO Tadoku Supporters got in touch from Japan to wish us luck and to offer their support. That was hugely encouraging. When the Tadoku graded readers arrived, they seemed a good level. But to be honest, I was still a bit concerned that they might be boring. Would my adult students really want to read The Three Little Pigs in Japanese? So I started reading them myself. And to my surprise, it was a lot of fun. Tadoku readers have pictures, so if you don't understand something you can look at the picture and guess. If you still don’t understand, you can try to guess by context. Or you can just keep reading. One thing you are not allowed to do in Tadoku is to use your dictionary. I pushed this rule a bit further in our class, to include: you cannot ask your teacher what a word means either! Using a dictionary (or asking your teacher) slows you down and interrupts your flow. This makes the reading experience less fun, which discourages you. Instead of using the dictionary, in Tadoku you are encouraged to skip over words and phrases you don't know. If you just keep reading, you may eventually work out what the word means. But – and this is the interesting bit – if you never work it out, that’s fine too. Just keep going, and reading Japanese will get easier. I started learning Japanese in 2007, but it was 2012 before I read a whole book in Japanese. Imagine how many easy books I could have read in those five years, if only I’d known they existed! Some of my Tadoku students had only been learning Japanese for a year, and within a few weeks on the course they’d already read several books. I think that’s an amazing achievement. Of course, these are easy books, level-appropriate and short. That’s why they were able to read them quickly and easily. 3. Skip over difficult words, phrases and passages. 4. When the going gets tough, quit the book and pick up another. I was a bit nervous that my students wouldn't follow the rules. I thought they would want to use their dictionaries, or would feel compelled to finish books they weren’t interested in. I wanted to create a comfortable, relaxed environment, but I worried that if it was too relaxed, students might sit and chat, rather than read the books. But of course they followed the rules! They’d signed up for this, after all. ‘No dictionaries’ was probably the hardest part. One student confessed to “cheating “ by looking up an unfamiliar kanji she was encountering for the first time. “If you’d kept going, you might have guessed it from context,” I argued. (Also, 臼 [mortar!] isn’t a particularly common kanji, so arguably looking it up isn’t a great use of time when you could be reading the rest of the book instead). My students read so fast, after the first session I realise I needed to order more books. I think my students gained a lot from practicing Tadoku for six weeks. And as their teacher, I learned a lot too. But generally speaking, textbook reading exercises are quite boring. Doing Tadoku showed me that easy reading materials can be funny and interesting too. I also saw, in a new light, the extent to which my adult students are really good self-guided learners. I thought I might have to help them choose which books to read, or guide them as to which level to pick. No one needed my help with this. In the middle of the course, we had a week off and I went to Portugal. 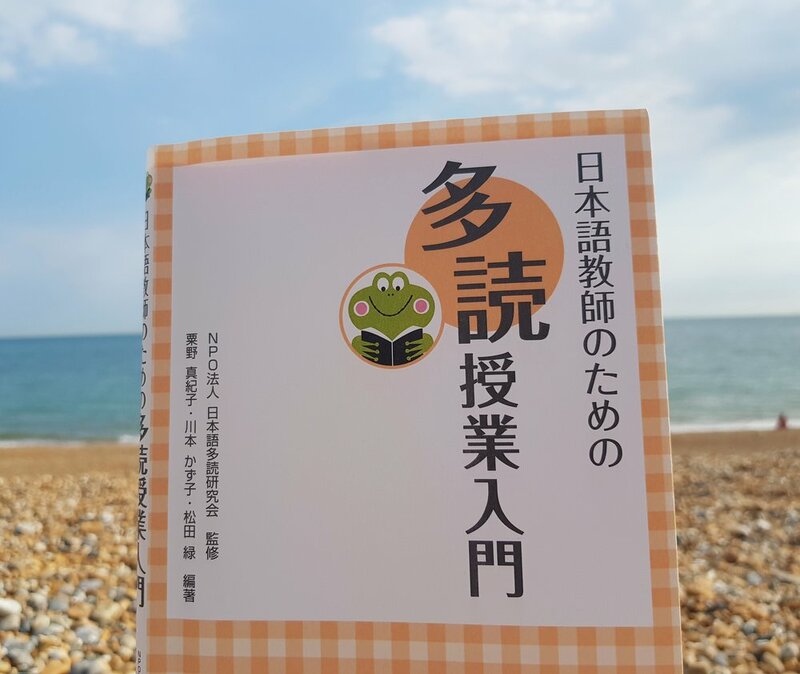 I lay on the beach and read a Japanese book (コンビニ人間 kombini ningen, Convenience Store Woman) without using my dictionary. I raced through it, enjoying the book for what it is. So Tadoku was pretty revolutionary for me, too, as well as my students. I wish I’d known about Tadoku in 2007…I could have read some fun books in those first five years! Could we listen to music while reading? Maybe we should do Tadoku for more than six weeks of the year…? Links with an asterisk* are affiliate links, which means I may earn a small commission, at no extra cost to you, when you click through and buy the book. Thanks for your support!